It's a scan from a note pad I've bought!!! I agree.... dark soooooooooo cute!!! omg... *melts* haha..... thx thx!! Ohhhh Dai-chan!!!! he is very cute in chibi! and Dark too...but I prefer Dai-chan! This one is just so kawaii!!!!!!!!!!! 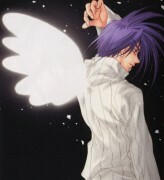 ^_____________^ I love DN angel!!!!! And Dark and Krad and Satoshi!!!!!!!! satoshi rules!!!!! :D But this one is so so so cute ;) thnx for posting!!!! 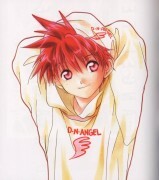 Yes, extremely cute scan, hon! (*~.^*) Definite fave for me. 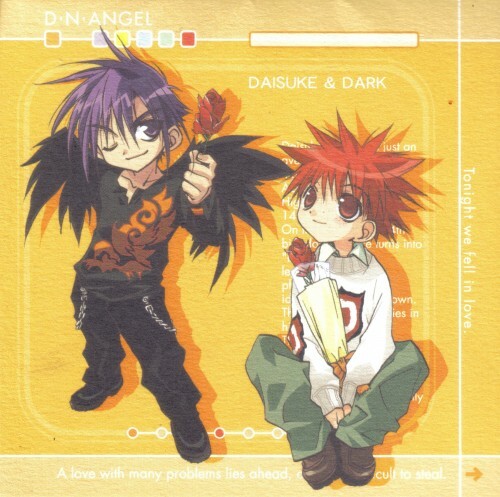 What could be better with Dark and Daisuke as chibi's?..Them as chibi's..with roses! It's so sweet! I love it! chibi dark is soooooo cute. lol. and daisuke looks uber cute. thanks for the scan! OMG !!!! kawaii, kawaii, kawaaii !! what more can i say ?! daisuke and dark so kawaii !! They are so cute! I completrly adore chibis! kawaiii desuuuuuuuu Thanks for sharing! *gasp* SO kawaii!!! ahhh! so nice =3 like it a lot^^ ....did i mention how kawaii they are??? wahhhhhh!!!! kawaii!!! !>-<" chibi is awesom!! !^-^ thankies for sharing!! Who care's about Dark, look at Daisuke XD"
Quote by ruiwenI agree.... dark soooooooooo cute!!! omg... *melts* haha..... thx thx!! Ah! chibis! Daisuke is so adorable!